Chantilly Family Practice Center (Chantilly) - Book Appointment Online! 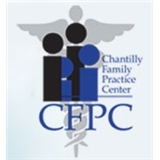 Chantilly Family Practice Center (CFPC) is a full service medical facility that provides comprehensive family practice and urgent medical care to area patients and to over five hundred (500+) businesses. Currently, our medical center accommodates over a hundred patients per day. We offer occupational medicine/medical services, pediatrics to adult care, emergency medical services, basic labs to complex diagnostics and much more. We accept all major insurance plans including all major HMOs and PPOs in the DC Metro area. Special attention is devoted to developing and providing comprehensive occupational medicine services to corporate clients. Availability of state-of-the-art equipment helps our center deliver quality services in the most efficient and effective manner. Dr. Rajesh Mehra started Chantilly Family Practice Center twenty years ago to serve communities of DC Metropolitan Area. Chantilly Family Practice Center invested significant capital to upgrade equipment and improve facilities. Our new 7,000 square feet Center strives to make the cornerstone of health care delivery in its community by consistently delivering high quality medical services and operating with integrity and compassion for its patients. Our Center is staffed and equipped to provide a full range of ambulatory, diagnostic and treatment services for illness or injury, including laboratory, x-ray, trauma care, emergency medical services, occupational medicine/medical services, minor surgery and casting. Chantilly Family Practice Center renders extensive medical services that range from simple medical visits to injury evaluations and treatment. Our center provides multiple specialists, which include: allergist, cardiologist, psychiatrist, physical therapist, nutritionist and weight loss specialists as well others. CFPC also offers echocardiograms, nerve conduction studies, stress tests, osteoporosis tests and more. We strongly believe that we are the only local non-hospital facility offering such a comprehensive range of care. Chantilly Family Practice Center accommodates the full spectrum of federal and state health mandates.